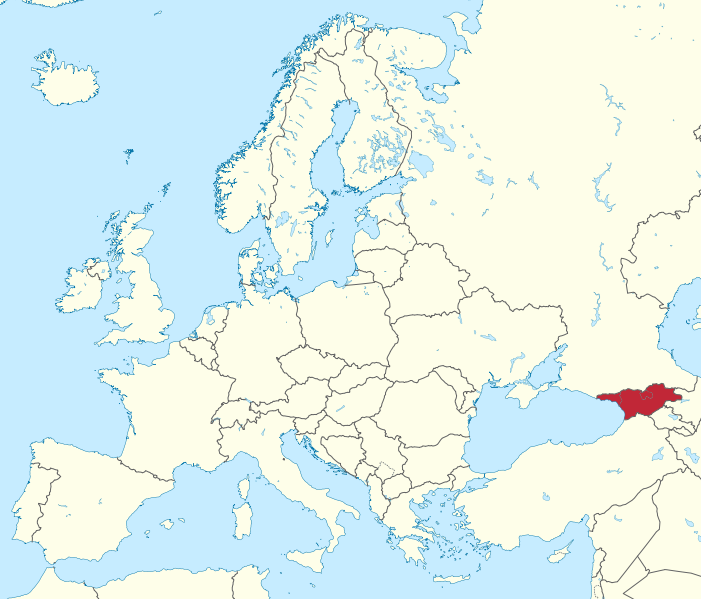 Georgia is located in the Caucasus region at the crossroads of Europe and Asia. Georgia shares borders with Russia, Azerbaijan, Armenia and Turkey. 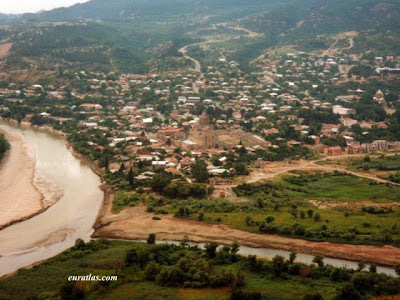 The capital city is Tbilisi. Remarkable for its landscape diversity, from mountains to desert, from snow to palm trees, Georgia ranks among the world's wonderlands. Within its borders one can find 5000 m peaks; glaciers, alpine meadows; sub-tropical coastline, high desert, semi-desert, fertile alluvial valleys, wetlands and of course huge swathes of virgin forest. From the shores of the Black Sea to the soaring peaks of the Caucasus - from rich Wine Country in the east to Cave cities, to the spa town of Borjomi and cultural delights of Tbilisi, Georgia's natural beauty is the stuff of legend. Georgia has the dubious distinction of being one of the most invaded nations on earth. As a nation at the crossroads of Europe and Asia, Christianity and Islam, Georgia has long been marked by war. To protect against invaders an elaborate system of watchtowers alerted the people to an attack (many of which still exist) and precious religious icons and relics would disappear into caves and hidden mountain fortresses. Villages in the most remote mountain valleys would escape the invaders attention entirely, thus some of the oldest and most superlative Frescoes are found in the highlands. Like other republics of the USSR, Georgia suffered severe environmental degradation during the Soviet period, when economic policies emphasizing heavy industry were implemented with little regard for their environmental consequences. Air pollution is a problem in the major cities, particularly in Rustavi, which has a giant steel plant and other metal and chemicals production. Traffic is another great contributor to the pollution of an air. The lack of relevant data on Persistent Organic Pollutants is another obstacle. The Kura River and the Black Sea are heavily polluted with industrial waste. Inadequate sewage treatment is the main cause of that condition. 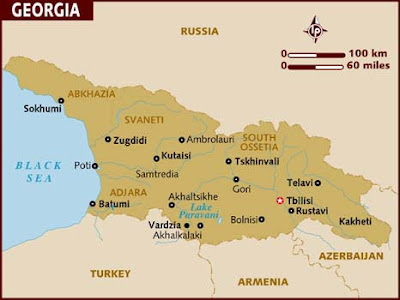 As a result of water pollution and the scarcity of water treatment, the incidence of digestive diseases in Georgia is high. Pesticides from agricultural areas have significantly contaminated the soil. Significant amounts of agriculture lands have been lost in land erosions. Municipal waste is disposed in poorly managed landfills. Due to low production and low economic development, the industrial waste has significantly decreased during late 1990s and early 2000s, however at the moment there are no industrial waste treatment facilities, therefore all the waste produced is being disposed into the environment without a treatment. The biggest threat are over 2,5 tons of hazardous chemicals that have been buried at the Mt. Iagluji, at the depth of 20 meters, over 10 years, since mid 1970s. Hardship and low life quality forced people to overuse natural resources, particularly firewood. The protection of upland pastures and hill farms from soil erosion is another pressing issue that the government has not addressed owing to lack of economic resources. Unsustainable use of forest and other natural resources has lead to land degradation and desertification. The war in Abkhazia did substantial damage to the ecological habitats unique to that region. In 2001, 2.8% of Georgia's total land area was protected. As of 2001, 10 mammal species, 5 bird species, and 7 reptile species were threatened. Species on the endangered list include Atlantic sturgeon, slender-billed curlew, Mediterranean monk seals, Darevsky's viper, and the Armenian birch mouse. Climate change has already shown its effects in Georgia in certain regions. Landslides and floods have contributed to significant amounts of population migration. Air temperature and rainfall have both increased in the past 50 years. Climate change has also contributed to an increase in vector borne diseases. Civil society, particularly CSOs, has been considerably weakened since the 2003 Rose Revolution, as local and international actors have shifted their attention mainly towards the support of government policies. Now, because society increasingly shows discontent towards the policies of the government, new prerequisites are being created for CSOs to play a more active role. CSOs have some advantage in this respect; despite a number of weaknesses, they still form an organised power, and in the case of particular policies, they can increase their authority and influence within society, as well as over the government. Furthermore, civil society ought to pay greater attention to the social problems Georgia faces, as well as to the spreading of democratic values. An additional stimulus comes from international organisations, including donor organisations, the policies of which shift their focus towards the issue of democratic values. Civic engagement, especially CSO volunteering activities, is noticeably low in Georgia on a formal level. Even more worrying is the apparent trend toward a decrease in volunteering, rather than an increase. This tendency is particularly evident with regard to socially-based engagement. One explanation for this may be that difficult economic and social circumstances, including high levels of unemployment, drastic worsening of living conditions, and largely unstable social, political and economic environments, along with the neglect of the interests of wider society by government, have marginalised large segments of society and prevented the emergence of organised groups and the implementation of institutionalised activities. The current political situation in Georgia offers another serious stumbling block to increased civic engagement. In contrast to institutionalised activities, community participation, which is not institutionalised as a rule, is higher in Georgia. This can be seen as a reflection of the fact that public confidence in formal structures has never been high in Georgia. In a country where official structures have always been treated with a fair dose of mistrust, it is mainly the neighbourhood and community groups and other similar informal associations, such as within groups of friends, which traditionally enjoy high levels of public confidence and thus have higher levels of civic participation. Economic instruments for the environment were rarely used in Georgia before independence. The broader introduction of economic instruments for environmental protection and natural resource use coincided with the beginning of the political reform and the transition to a market economy. Taxes on environmental pollution with harmful substances were introduced in 1993 and taxes on the use of natural resources in 1994. The pollution and natural resource taxes were modelled on systems that were in force in other countries in the subregion, with some modifications to take Georgia’s specific conditions into account. One important difference is that Georgia’s system does not include charges on solid waste. The only economic instrument related to waste management is the user charge for municipal waste services. Furthermore, no environmental fund to support environmental investments has ever been established. Financial incentives such as grants and soft loans. The National Environmental Action Plan (NEAP), adopted in 2000, sets out priorities among the actions aimed to address environmental problems. The national action programme to combat desertification. Georgia's 12 top rated companies practice some form of corporate social responsibility. Although they admit lacking experience in this field, they understand that participation in social programmes is essential. Moreover, these companies are involved, to a certain degree, in such programmes. But their attitude towards CSOs is quite different. The companies either know nothing about the activities of CSOs, or cast doubt on their efficiency. As a consequence, joint projects between Georgian businesses and CSOs are extremely rare. Furthermore, companies argue that if the number of foreign-funded programmes, seen as the main source of income for CSOs, is reduced, cooperation with CSOs will become pointless and useless. The last five years are marked by the emergence of discourse of corporate social responsibility in public–state–business relations in Georgia. Several projects have been implemented by non-governmental organisations aimed at popularising this concept. In several instances CSR projects were realised by big companies. Despite a clear understanding of the meaning of CSR as well as comprehensive knowledge of the different forms of its implementation, the range of activities in this direction is quite limited. Many existing initiatives serve a purpose of improving company images and/or developing their human resource bases. Also, the level of awareness about the nature and activities of the civil society sector is very low among managers. Managers do not see in the immediate future any possibility for cooperation between business and civil society. They see international donors as ‘natural’ sponsors and do not see overlapping interests between them, NGOs and big companies. The level of trust toward civil society is also low.